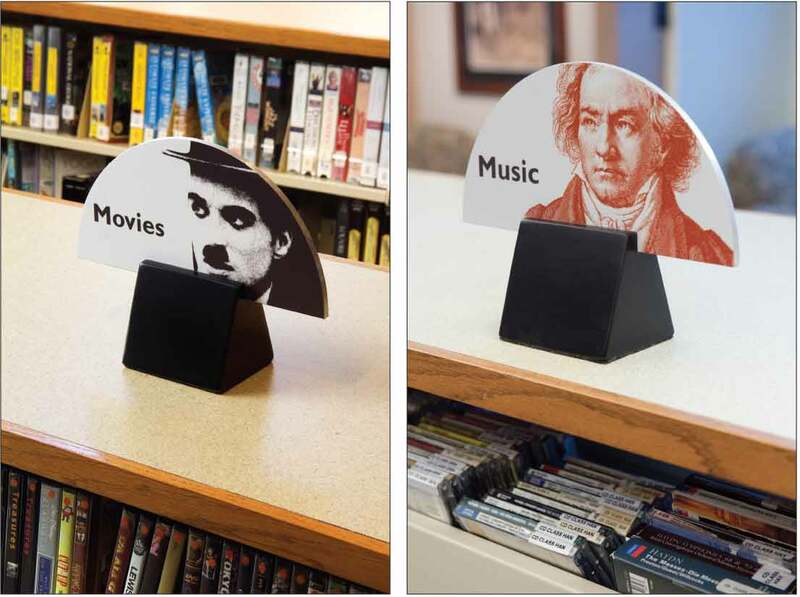 ​As part of a major expansion and renovation project that included the creation of a children’s wing, the Howe Library requested an environmental graphics program unusually broad in scope for a town library. In addition to an exterior clock face and main ID sign, interior components included donor recognition, wayfinding and regulatory signage, bookcase flags, special-event kiosks, an archival donor-plaque mural, Children’s Room entry sculpture, and a lobby mural. 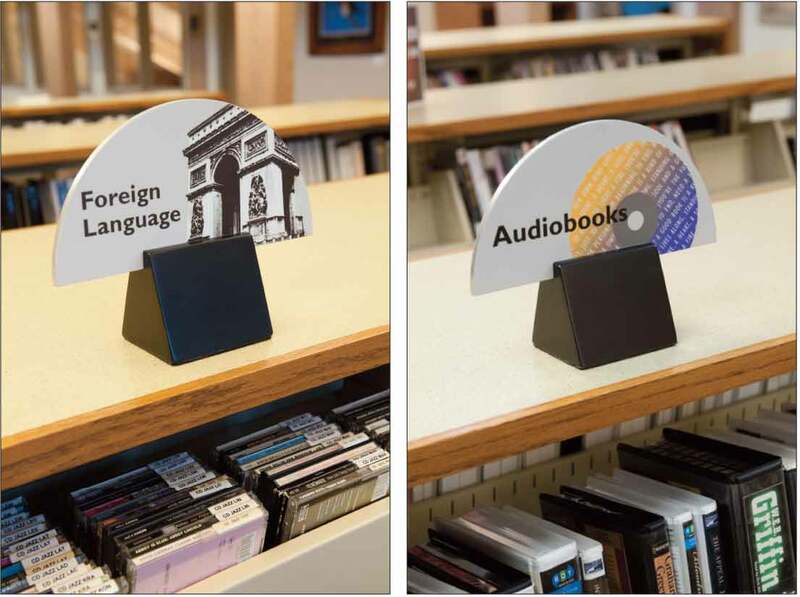 In response to the Library’s need for maximum flexibility and visibility, CGD designed a set of movable signs to mark the major classifications of the Library’s media collection– “movies”, audiobooks, foreign languages, and music. Felt-lined ebonized bases allow each sign to be easily repositioned atop waist-high shelving as the collections grow and technology changes.